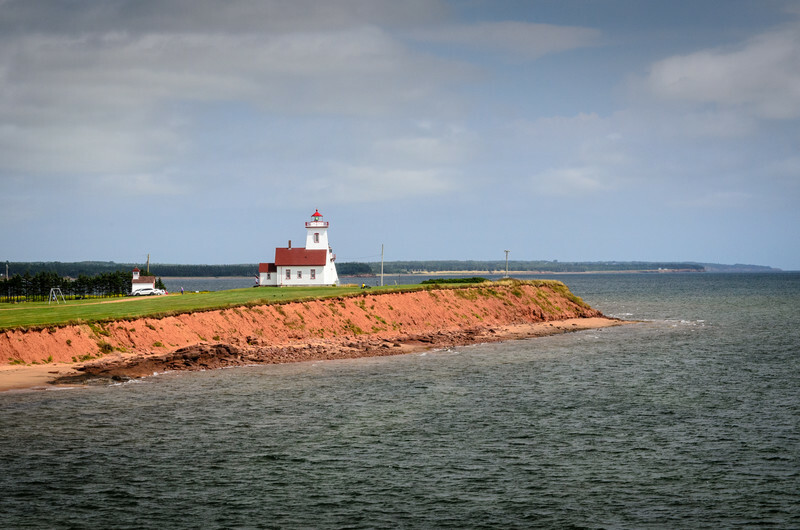 This gallery covers our trip from Prince Edward Island to Cape Breton. 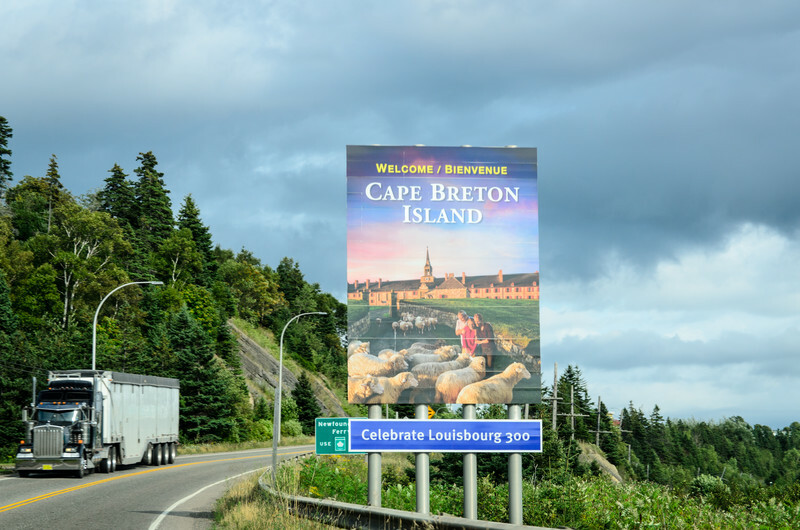 We boarded the ferry in Woods Island, PEI then across the Canso Causeway and finally settling in at Baddeck, on Cape Breton. 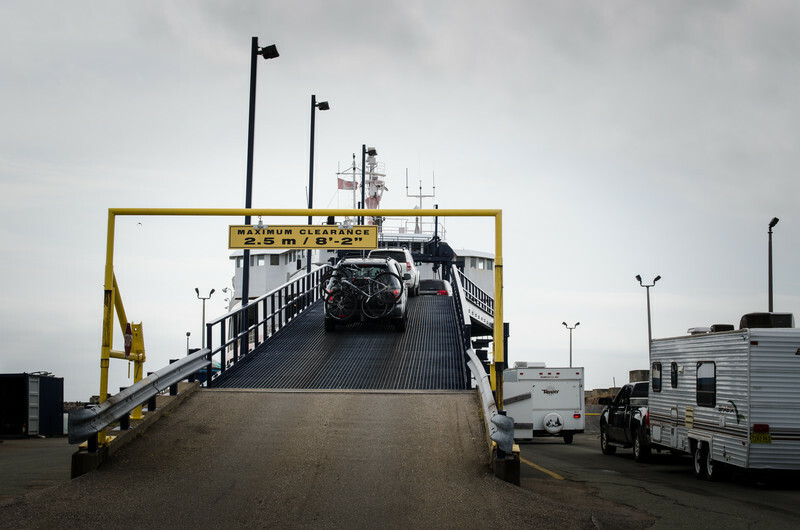 Boarding the ferry in Woods Island, headed to Nova Scotia. 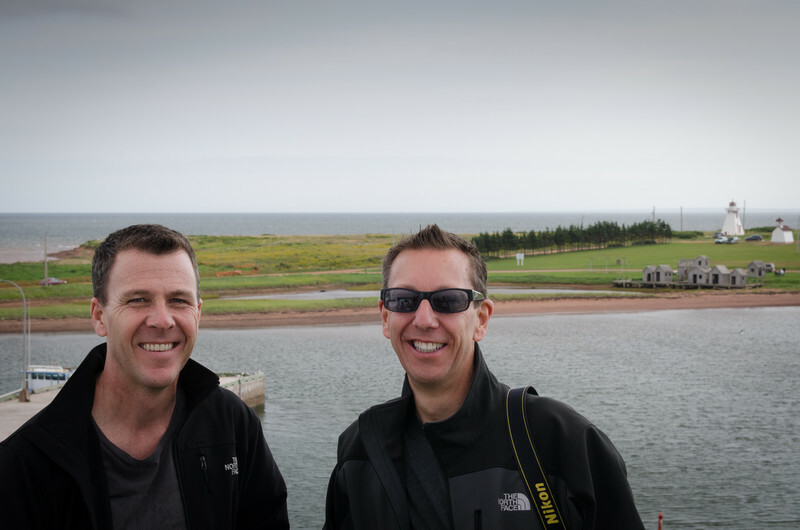 On the ferry headed to Nova Scotia. On board the ferry about to depart Wood Islands. 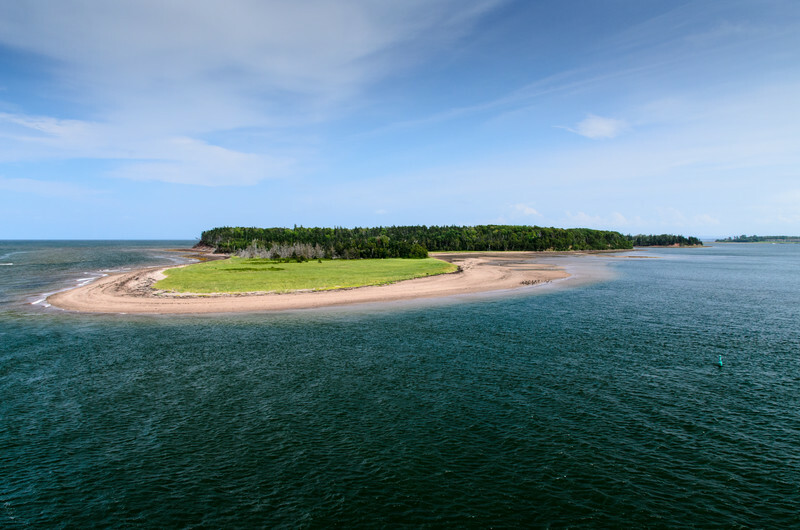 Woods Island Lighthouse from the ferry to Nova Scotia. 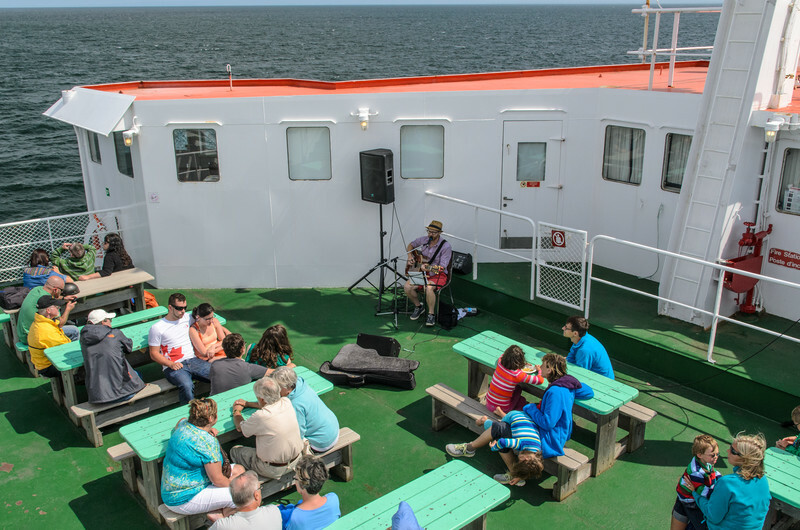 Live music on the ferry to Caribou. 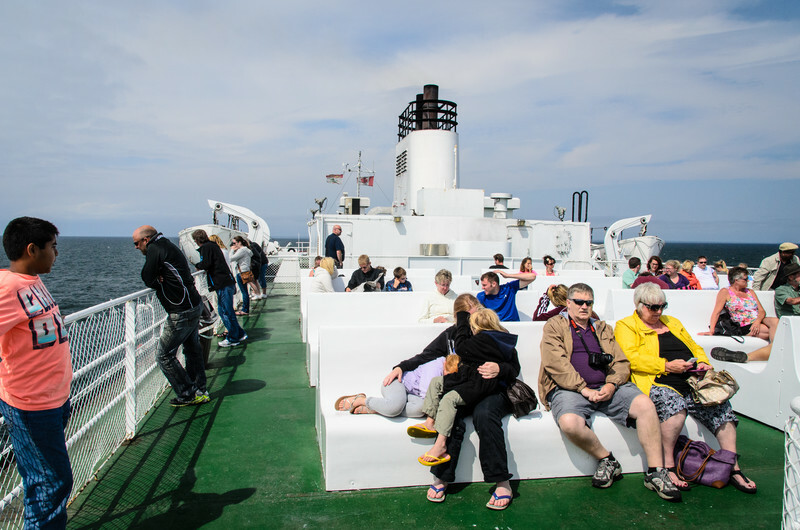 Relaxing in the sun, crossing the Northumberland Strait. 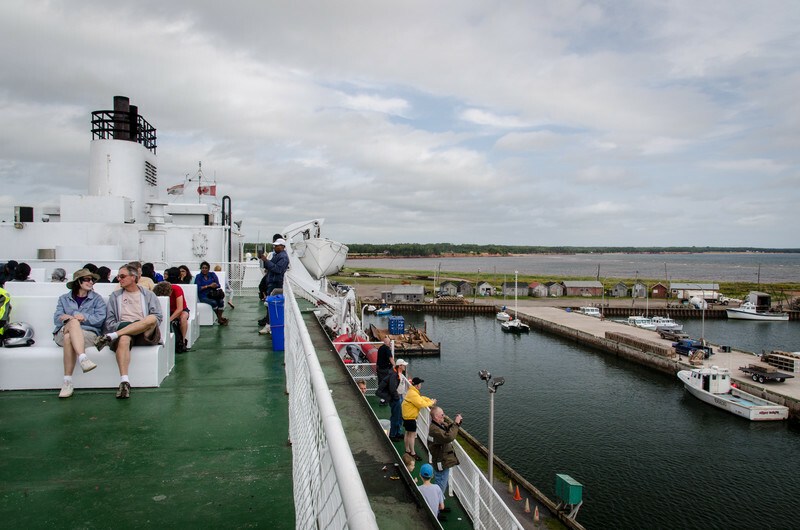 Entering the harbor at Caribou, Nova Scotia. 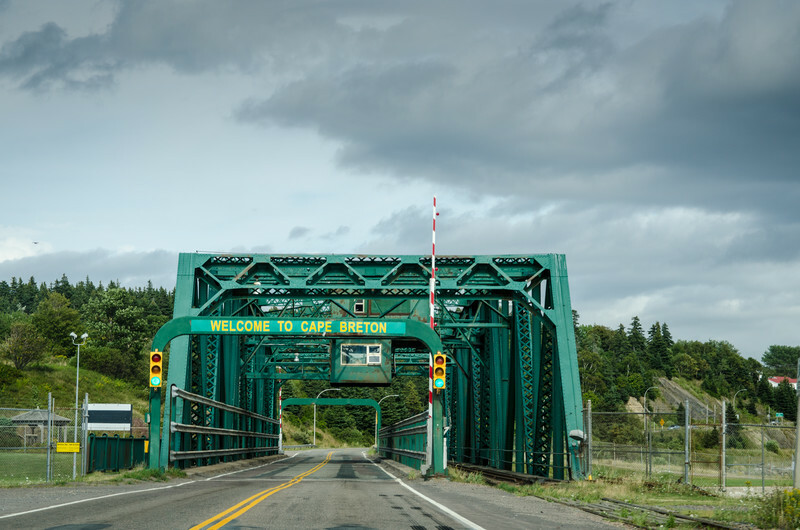 Crossing the Canso Causeway to Cape Breton Island. 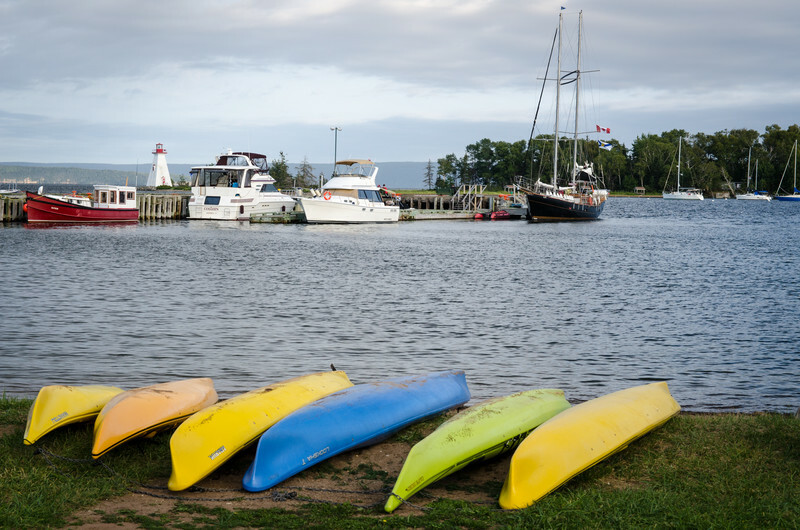 The scene across from our gueshouse in Baddeck. 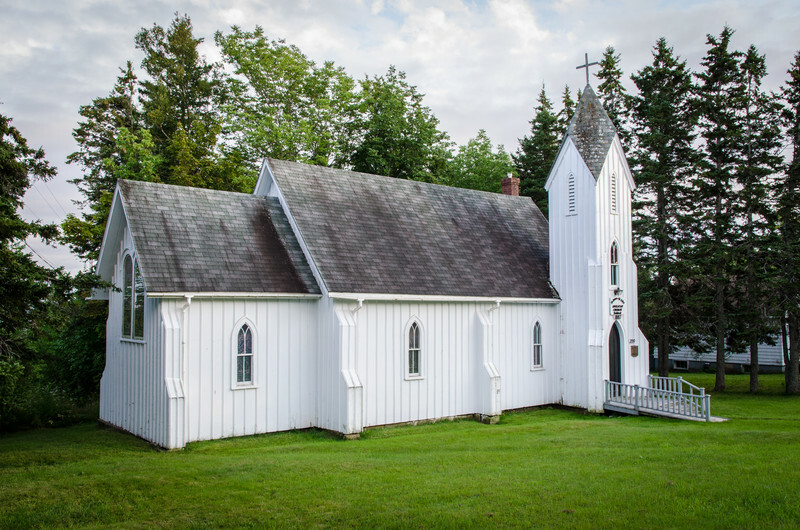 An old Anglican Church in Baddeck. 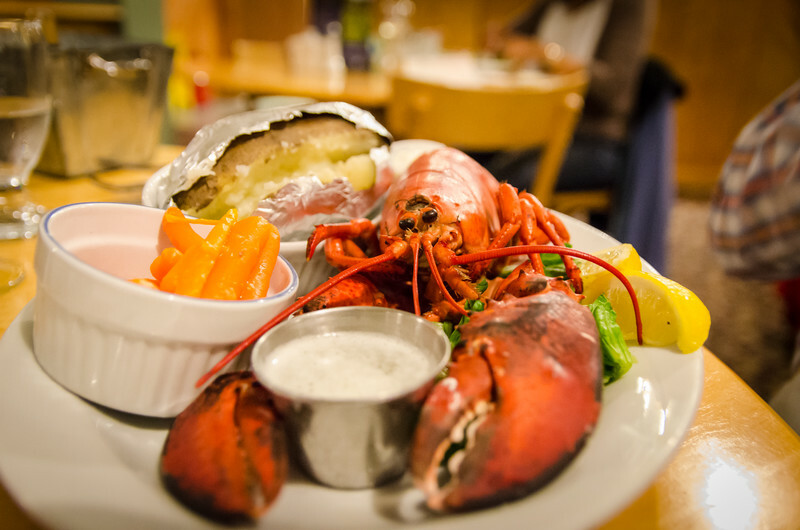 The first of many lobster dinners! 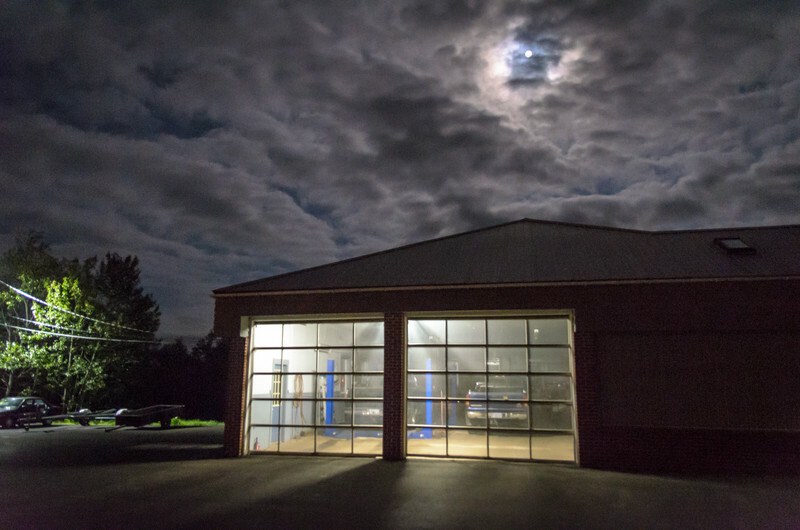 Garage at night, Baddeck, NS.